For Ms Li Ziyue, gaining international exposure is key to having a well-rounded education at ESSEC Business School. The first-year undergraduate is a recipient of ESSEC’s bond-free Academic Excellence Scholarship. Only outstanding international candidates are offered the scholarship in order to sustain the academic excellence of its Global Bachelor in Business Administration (BBA). Ms Li notes that not only do the professors in the business school have years of corporate and academic teaching experience, they also provide an extensive business network and abundant resources, thanks to ESSEC’s alumni around the world. 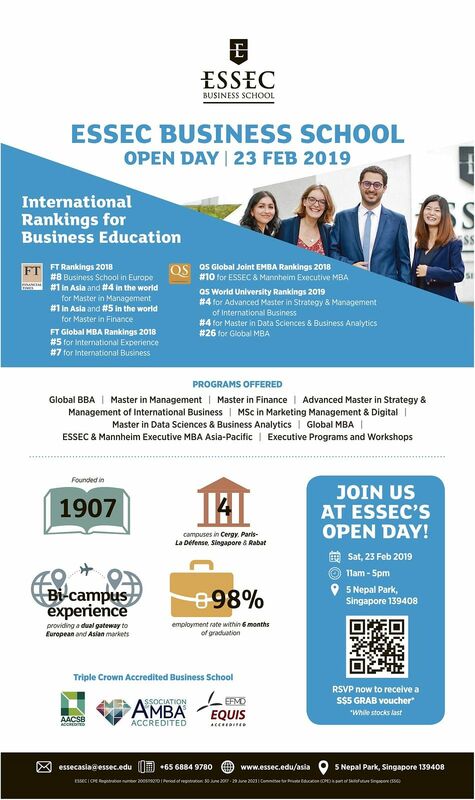 “The ESSEC Global BBA is an ideal choice for students who want to study and work in a dynamic international business environment,” she says. The programme gives undergraduates plenty of geographical and time flexibility, and enables them to study in the campuses in Singapore, Morocco or France. Courses are taught in English at Singapore’s campus, and in French at Morocco. For the campus in France, either language is used. Undergraduates can also apply for inter-campus mobility for one semester during their second year of study. In addition, during their course, they can experience 10 months of internship and study at the business school’s campus in France. In their third or fourth year, they will embark on an exchange programme at one of ESSEC’s more than 150 partner universities across five continents. 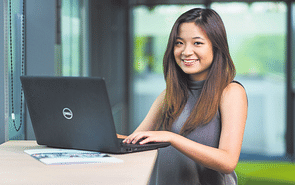 When Ms Li graduates in 2021, she can be assured that ESSEC’s career services will give her a competitive advantage in her job search. 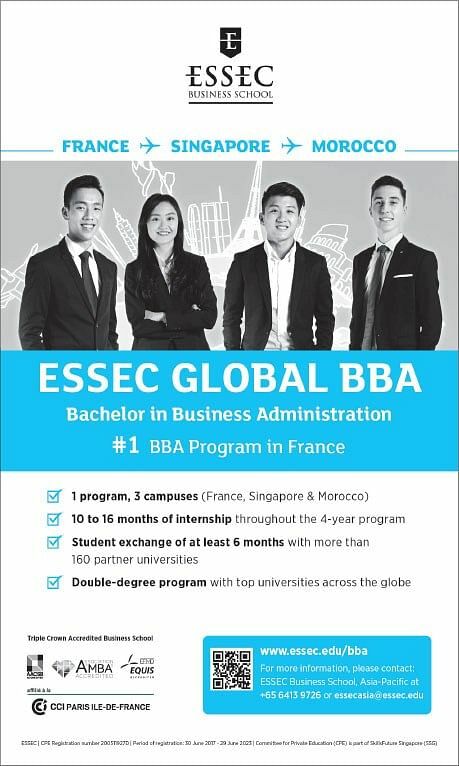 She considers the ESSEC Global BBA a non-traditional bachelor’s programme and encourages potential candidates who are ambitious and global-minded to enrol in it.